We have been lucky enough to travel Bangkok twice, first was September 2002 and second was last June this year together with some of my family members (we were seven in all). Traveling together with the family is definitely a great bonding experience. Having visited this place two times, I can't get enough of it and I still want for more Bangkok holiday escapades. The PAL flight went off smoothly. Upon our arrival, we were met at the airport on time by our guide. 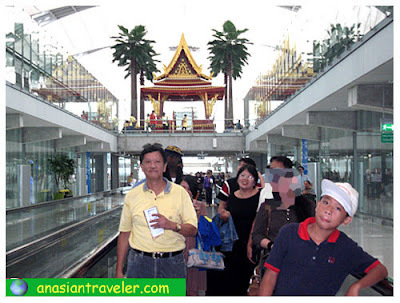 We headed directly to our hotel and arrived in the bustling Pratunam area. 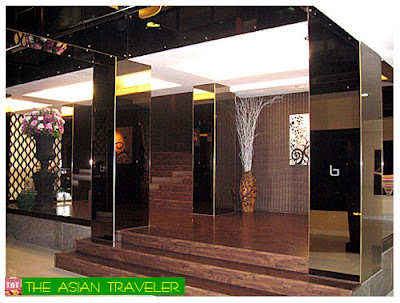 There are three Baiyokes in Bangkok; Baiyoke Sky, Baiyoke Suite and Baiyoke Boutique. We booked our 5 days / 4 nights at Baiyoke Boutique, which is absolutely one of our best hotel finds. A funky trendy retreat centrally located right in the heart of Pratunam shopping area perfect for those who would like to go on a shopping spree. It is just at the back of Thailand tallest hotel, Baiyoke Sky Hotel. 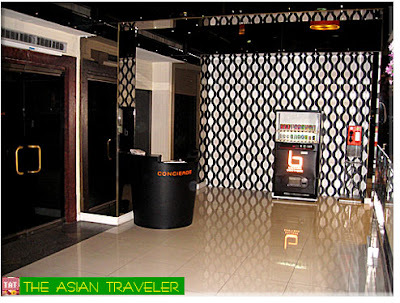 This 3-star establishment offers nicely appointed bedrooms from 3rd to 9th floor. 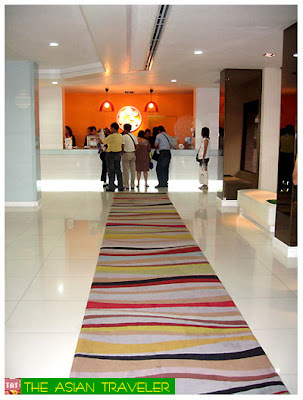 The excitement begins right away as we entered the pearly white lobby with its funky and fun loving decor. We were welcomed with wonderful smiles and they gave us a refreshing welcome drinks. One thing I did notice was most of the hotel staffs are young adults in their early 20's. 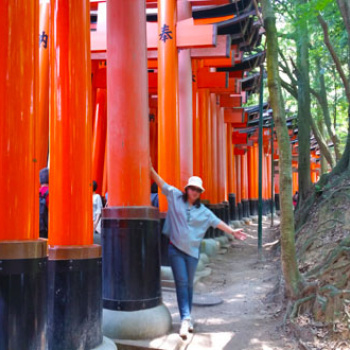 They speak fairly decent English and some of them speak Japanese. The lobby casual interior has its own savvy style. There is a cozy "BB Coffee Shop" that offers tasty snacks, decent lunch and dinner. A great place to hang out or have fun and play the Pool Table which is open 24 hours (20 Baht per game) . Guests can also have access to their PC available 24/7 Internet connection at Business Center. 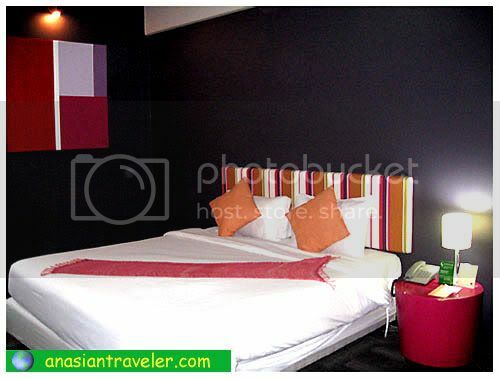 The Deluxe rooms (Baht 2,400 / US$ 69.00 per night) are good for two persons inclusive of buffet breakfast. 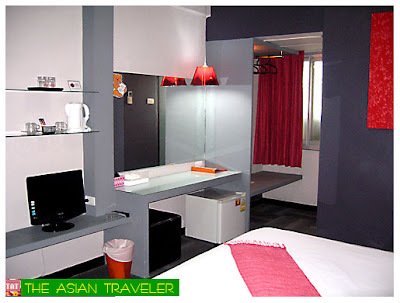 The rooms are contemporary, nicely designed and very clean. 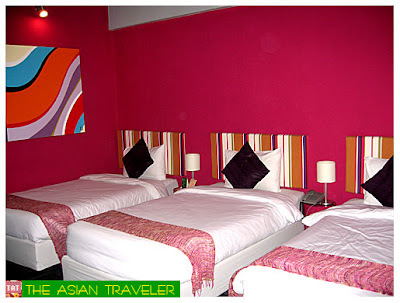 Room size is adequate and our King-sized beds are extremely comfortable. 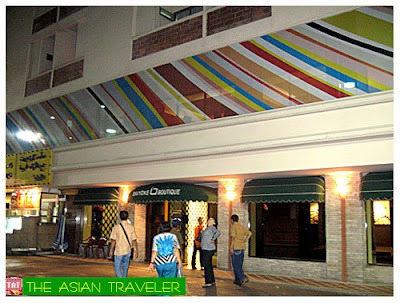 The distinctive wall is very Zen style decorated with attention-grabbing modern art painting. The room is well-equipped with LCD TV with cable, individually controlled air-conditioner, slippers, hairdryer, refrigerator, digital safety box, tea/coffee making facilities, telephone, wireless Internet access, room and laundry service. Our rooms were cleaned daily and we always had fresh linen and towels everyday. The peculiar unpainted wall and hues of white, orange and black tiles titivates the bathroom. It is decked out with white basin, bathtub with shower, water closet and large mirror. It has all the usual amenities like soap, shampoo, toothbrush and paste, cotton buds and shower cap. 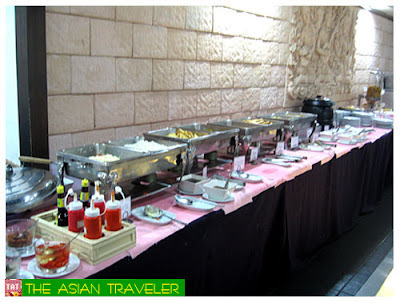 The "Breakfast Lounge" offers a sumptuous breakfast, which allows us to enjoy traditional fare. Even we had the same menu choices everyday our hunger pangs were always completely satiated ready to embark on new adventures in the city. Overall, we enjoyed our stay here. I loved the room and the ambiance. 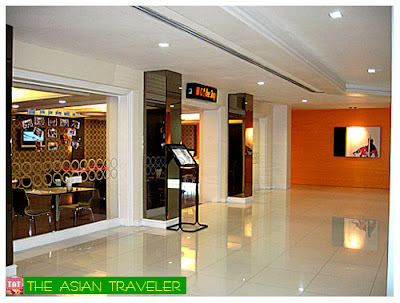 The staffs were very attentive and the service they gave us was excellent. I observed the hotel does seem to cater to young and active crowds. But I would also recommend this place for budget travelers. Location is great. Aside from Pratunam area, you can safely walk within minutes to good shopping centers like The Platinum Fashion Mall, Isetan, Plaza World and MBK Center. 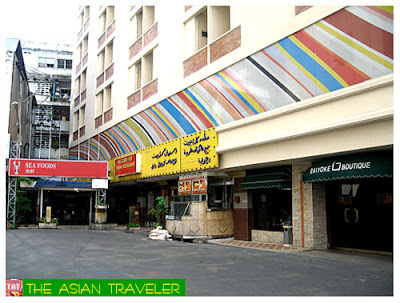 It is 10 minutes walk to BTS Sky Train at Chidlom Station and Phayathai Station. 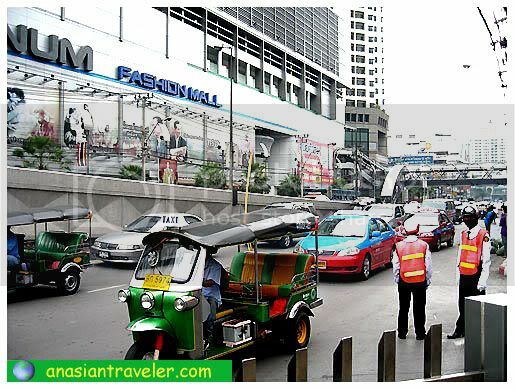 They also have shuttle van to Siam Paragon where Siam Ocean World is situated. Baiyoke Boutique is located at 120/350 Rajprarop Road, Rajthevee, Bangkok 10400, Thailand. never been to bangkok, but i will surely visit it soon! Ang ganda nung rooms nyo. I've never seen an interior like it before. Nice hotel with nice rooms. Now I really want to go to bangkok. Thanks for the tips.